The UK is known for its architecture, especially Victorian and Edwardian buildings. London alone is home to hundreds of the most beautiful architecture in the country, with the many brick buildings in the city being a joy to look at. The outside facade of the houses might be overlooked and forgotten, which will show eventually. In the end, even the most beautiful and detailed of masonry can gather dirt and deteriorate over time. To keep your house looking gorgeous, keep the bricks and masonry clean. With that, you can count on our help. 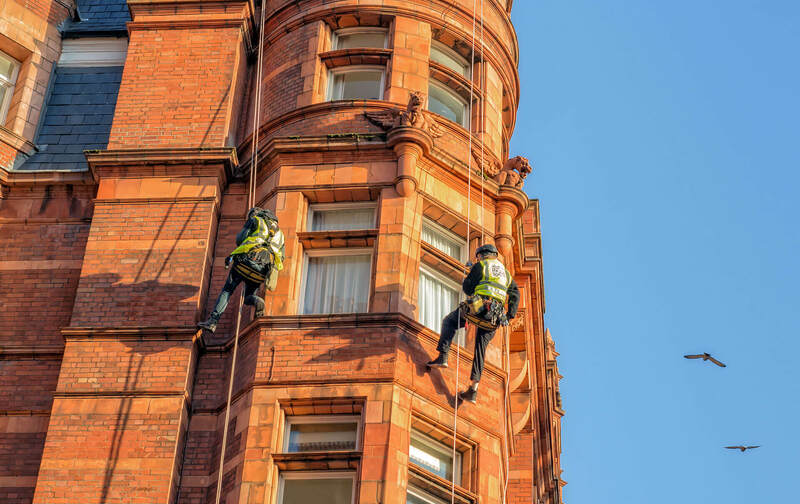 Using the best rope access technology, our rope access technicians can get to any areas of the building, even to the most unreachable ones, in a way that is completely safe. Thanks to the rope access equipment, our specialists have complete freedom of movement, allowing them to pay close attention to their task as they clean your building completely. All of our technicians are well-qualified thanks to IRATA training. With R.A.I.L. you will change the way your home looks like forever by making beautiful and clean again. Book our services to enjoy fast and budget-friendly brick and masonry cleaning done by professionals in every part of the city.